Six Weeks to OMG : Fact or Fiction? The list is long and distinguished, from Atkins to the Zone, of diet authors and their acolytes claiming that their singular regimen can melt away unwanted fat, to reveal our inner god or goddess. Such claims have become our new national pastime, much like baseball did in the late 19th century. Once you get past the preconceptions about these radical ideas, Khanna may actually be onto something, according to Maria Pagano, RD. Pagana, a Tier 4 coach at Equinox, explains that “blowing up a balloon, for instance, can help with diaphramic breathing.” Proper breathing is a prerequisite to any exercise program, since it is vital to maintain the ability to correctly activate the fascia surrounding the diaphragm. Skipping breakfast, part of the practice of intermittent fasting, has been shown to work in preliminary studies. However, an extended period of fasting will cause the body to enter “starvation mode”, slowing down metabolism, and promoting greater fat storage. While some of Fulton’s theories are backed by scientific research, his program faces stiff opposition from many in the scientific community. Dr. Carol Cooper, argues against skipping breakfast. You may feel slim after skipping breakfast, but metabolically you are potentially creating tremendous damage. Prolonged fasting can lead to ketoacidosis, since the body can’t get enough fuel. Deanne Jade, left, founder of the National Centre for Eating Disorders in London, acknowledges that there will be an initial weight loss. However, she posits that all of the weight lost will simply return. The psychological harm that can result because of the weight gain is often manifested in the development of eating disorders. According to the CDC, young women are more susceptible to developing eating disorders, a market that Fulton targets, according to Jade. “ [Fulton] is buying into a particular kind of culture [that] will attract younger women”. She is saddened that these women will likely be her patients in the future. Dade further reports that “liver damage and even liver cancer are also associated with people who have very chaotic and disruptive patterns of eating”, such as the one advocated by Fulton. By now it should be readily apparent that you can lose weight, at least temporarily, by following Fulton’s methods. While this may be desirable, you should consider that there are very real problems--physical and psychological-- that can arise from adhering to his “diet”. There are the slowed metabolic rates, the risk of developing eating disorders, and risks of certain ailments and diseases that can be fatal. The Dietary Cleanse : A New Way to Get Fat? Our obsession with the lifestyles of the rich and famous has us emulating their behaviors, and purchasing whatever products they promote. So when celebrities such as Salma Hayek, pictured right, swear by cleanses as a “wonderful way to hit the RESET button” and peel off pounds, we naturally rush to sign up for them. We have no regard to the physical and psychological stresses that we are placing on our bodies willingly forgoing food for days or weeks at a time. We are so eager to be like celebrities and to look like them that we give no real thought to the efficacy, or to the detriment of such measures. We simply want to shed pounds and look and feel great, which cleanses claim to provide. However, cleanses are usually little more than an expensive way to test your mental fortitude. The claims of weight loss are dubious. Heather Bauer, R.D of New York City says that any weight loss from these so-called cleanses usually doesn’t last. Further, they can actually make you gain weight. Since most of the weight lost comes from water and the catabolization (destruction) of lean muscle. The loss of muscle tissue will result in a lower metabolism (how many calories your body burns) and make it easier to store fat in the future since you are changing your body composition to a higher percent of fat. For those whose primary concern is detoxification, a cleanse can be a great way to separate you from your money. Dr. Adrienne Youdim, the medical director of the Weight Loss Center at Cedars-Sinai Medical Center in Los Angeles finds nothing healthy about these cleanses. Dr. Youdim explains, “the body actually has a very intricate way of detoxing on its own. Our liver is designed to clear toxins out of the body. Our kidneys are designed to clear toxins out of the body. Our gastrointestinal tract itself has mechanisms to clear toxins from the body. There really isn't any reputable science to suggest that there is any health benefit to cleanses". Although a dietary cleanse may have some psychological benefits, the best way to peel off the pounds and look and feel great is through a smart and sensible workout and diet regimen. For great workouts and training ideas, check out the archive on the right or the workout that Los Angeles based trainer Bizzie Gold created. Gold, pictured right, is a celebrity trainer that invented BUTI, a fitness program that incorporates yoga, plyometrics, and dance. Her workout is featured in the August edition of SELF magazine. For more great advice on nutrition, check out these tips by Heather Bauer, or Sculpting the Perfect Body: One Bite at a Time. We don’t normally associate injury as an inevitable, inescapable reality of life. However, as any athlete: professional, collegiate, or weekend warrior can attest, this is a simple, undeniable fact. If you train hard enough and long enough, you will get injured. No ifs, ands, or buts. Granted, your training program should be well conceived, and well implemented, in order to prevent the gross biomechanical errors and inefficiencies that can inevitably lead to devastating injuries that can derail a career. However, you can’t prevent the inevitable sprains, strains, and pulls that will come as a result of prolonged physical activity. One key to athletic success is how quickly you can recover from these injuries. The well-known, and unfortunately well practiced mantra of “No Pain, No Gain” is a ridiculous one that has no place in a proper training program. Instead, the R.I.C.E concept is a more apposite one. R.I.C.E is an acronym for rest, ice, compression, and elevation. Rest is important, because it gives the injured muscles, tendons, ligaments, and soft tissues and opportunity to heal properly. Do not ignore the pain! Pain is the body’s way of warning you that something is wrong. Take the time to heal now, whether it means taking the day or the week off from training. Rest now can prevent you from avoidable and painful procedures that can result in months of forced inactivity down the road. Ice is the second part of R.I.C.E. A bag of crushed ice, icepack, or even a bag of frozen vegetables can serve as a good way to get cold to the affected area in order to speed the recovery. Ice aids in the recovery process by reducing swelling and allowing the soft tissue to heal faster. However, refrain from using ice for more than 20 minutes. Prolonged icing can promote frostbite, thus making the "cure worse than the disease." The third component is compression. Typical compression devices include the standard ACE bandage or compression sleeves, like the one Kobe Bryant is wearing below. Like ice, compression helps reduces the swelling in the affected area, allowing the soft tissue recover to a pre-injured state. The final part of R.I.C.E is elevation, raising the injured area to reduce swelling. Elevation is most effective when the injured area is raised above the heart. For example, if your knee is injured, try lying on your back and placing pillows under your knee. The R.I.C.E strategies work because they give the injured area time to heal, as well as provide other mechanisms to ensure that the injury can heal properly and effectively. It is not be as ubiquitous as the "No Pain, No Gain" mantra, so it will take some time to adjust to this paradigm shift. These are the words of Joseph Pilates (1880-1967), the inventor of the Pilates method. He was a man's man at the forefront of physical culture in the US, and always claimed that he was far ahead of his time. He was right: today his method is more popular than ever. What he started in a tiny studio in New York City in the late 1920’s has become a global fitness staple and multi-million dollar industry. 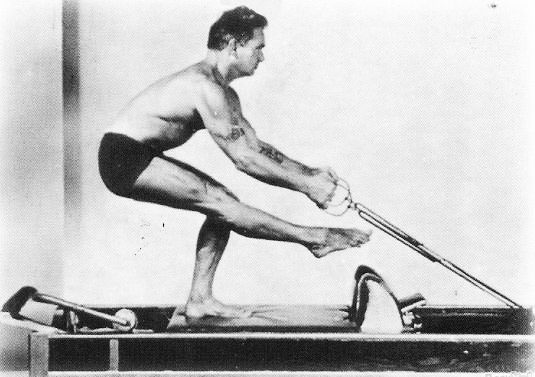 You read that right: Pilates is not a trend of recent years, but has been around for almost a century! Yet, many people still don’t know exactly what it is and what its benefits are. Time to take a closer look! 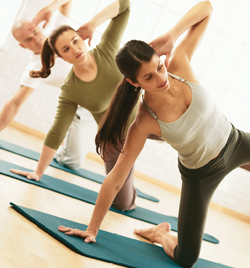 Pilates is a method of exercise designed to rebalance and restore the body's innate strength and flexibility. Simply put, the result is a body that is capable to move effortlessly and without strain through everyday life. In the context of contemporary fitness, Pilates fits in as fundamental and functional strength training and can be your one-stop-shop for exercise, or used to improve your game in any other activity. It works for people from all walks of life - regardless of gender, age, or fitness level. One of the many reasons Pilates is so effective is that it strengthens and stretches the body all at once. By focusing on the portion of movement in which the muscles lengthen against resistance, the muscles get stronger AND longer. Another main benefit is improved alignment and core strength: Any and all Pilates exercises are initiated with a strong awareness of the deeper postural muscles, so that proper alignment can be established and maintained throughout a movement sequence. 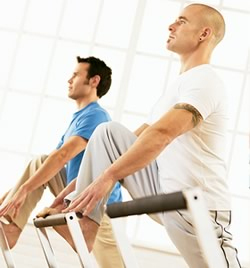 Good alignment maximizes muscular function and prevents injury, which is why many professional athletes know to incorporate a regular Pilates practice into their training. However, Pilates is far away from being a “core-only” workout. Just like life, it incorporates your full body - each exercise requires an exact orchestration of effort and exertion all throughout the body, including the brain! With so much to focus on, mindlessness has no place in a Pilates workout. You learn to use your mind to control your body and develop a strong body awareness. The latter might be one of the most important benefits, because it ultimately allows your practice to seep into all your other activities: practicing Pilates simply makes you better at everything you do, from walking down the street to running the marathon. If none of this sounds like Pilates as you know it, chances are you are yet missing out on a true Pilates experience. Many of the exercises can be performed on a Mat, but a true Pilates practice also involves the use of equipment specifically designed to condition the body, such as the “Reformer”. Check out a fully equipped Pilates studio and see for yourself what Pilates can do for you! 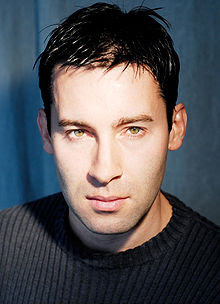 Benjamin Degenhardt is a Pilates Method Alliance certified instructor and educator. He can be reached at benjamindegenhardt.com, and find him on Twitter at http://www.twitter.com/bdpilates or Facebook http://www.facebook.com/bdpilates.